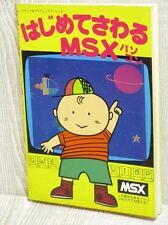 msx2+: is the intended,true msx2, maybe they have added some other nice things. Wow, someone just pledged 5000£ ! Correct, MSX2+ (with build in FM-Pac) would be the true intented MSX. I hope the DVD contains english subtitles at least ! Awesome! We're getting very close now. It's looking like this will actually happen now. : ) I was getting a bit worried earlier around Day 15 especially... Just a little more to go! Maybe this could be the next topic for the frontpage poll ? Whoehoe, the kickstarter reached it's goal and a new Platinum edition has been made available. Thank you all for your support! We made it! I still haven't heard from Nishi-san, but we do have 2 months still to arrange something. However, I did confirm with Toshinari Oka, who is on board. He was main programmer on the first Parodius, which started on MSX, so I'd like to talk about that, among other things. Erm... I don't think it will. The spoken Japanese will be followed by the spoken English on my interpreters though.